This morning ISIS released a 4th video. No one lost their life in this video and there was no gore in it. The video was originally uploaded to YouTube on this channel. That 4th video that was posted by ISIS this morning was removed from YouTube within a couple of hours. However, the YouTube channel that hosted that video remains on YouTube...even though it has what appear to me to be 2 other ISIS propaganda videos on it. 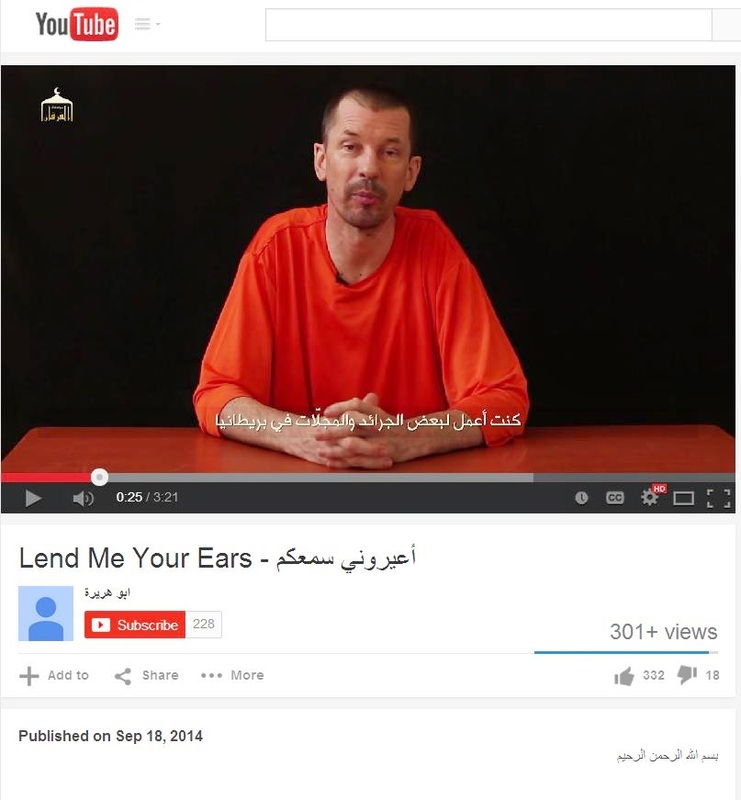 If YouTube is removing the ISIS videos because they "promote terrorism", fine. If YouTube is removing the ISIS videos because they're gross, fine. But, at least be consistent, YouTube. There is zero "gore" in today's video and the two videos that remain (links below) on that YouTube channel from which you deleted the "4th video" released this morning, certainly promote terrorism...because they promote ISIS. Do I speak Arabic? (Or whatever language they're speaking.) No. Watch the videos for yourself and tell me they do NOT "promote ISIS". That YouTube channel should be knocked off of YouTube. And so should the hundreds (or thousands?) of other YouTube channels that promote terrorism. That is, IF YouTube's goal is to not allow terrorists to promote terrorism on their website. If that isn't YouTube's goal and their goal is to keep more Americans ignorant to the truth, then, leave all the terrorist channels and all of the videos they post online. At least that way we have some chance at knowing what and who the hell it is we're dealing with. Show some consistency, please. I think all of the videos should remain easily accessible. I don't think any of them should be removed. I think all Americans and all Westerners should have the opportunity to view all of them. How can you know the truth unless you see it for yourself?